Many marketers would argue that they have always delivered results and offer up metrics like brand awareness, impressions, page views, click-throughs, and downloads. And while that may well be true, when pressed, few can actually provide a definitive, quantifiable answer to the question, “What is marketing’s financial impact on the business? What is the ROI of our marketing efforts?” According to IBM’s Global Chief Marketing Officer survey, 63 percent of respondents believe marketing ROI will become the most important measure of success over the next three to five years, yet, even at the most successful enterprises, only 44 percent of respondents feel sufficiently prepared to manage the increasing importance of ROI. Our study sought not to validate the well-documented facts mentioned above but to understand more about the challenges that marketers are confronted with when trying to define and report on marketing ROI. We also wanted to know whether the marketers who feel that they are already doing a good job of measuring and reporting on marketing ROI are doing anything fundamentally different from their less confident, successful peers. As it turns out, those marketers who express the highest satisfaction with their ability to measure and report on marketing ROI approach the task differently than their counterparts: they are more technologically enabled in their reporting, experience fewer data challenges, and integrate with their counterparts in other departments. 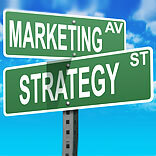 However, there also appears to be some lack of consistency as to what the definition of marketing ROI actually is. As a result, the differing definitions yield differing approaches to applying marketing ROI to the benefit of the enterprise, much less the benefit of the marketing organization. Not surprisingly, technology — and the ability to leverage it effectively — is a critical factor in the marketing organization’s perceptions of its effectiveness or lack thereof. Specifically, possessing accurate data and then being able to effectively integrate disparate data from multiple sources is the defining capability and difference between those who can and those who can’t report the return on investment in marketing. Winsper conducted an online survey of senior marketing leadership (director and above) randomly recruited from large, global enterprises (1,000+ employees and $1B+ in revenue) in both business-to-business and business-toconsumer industries. Eighty-five respondents from industries ranging from financial services, pharma, and CPG, to enterprise technology, medical-device manufacturing, and transportation completed the survey. Similar to other research on the subject, our respondents also indicate that measuring marketing’s ROI is important. In fact, no respondent indicated that measuring marketing ROI is Unimportant or Of Little Importance, with 100 percent assigning marketing ROI at least some level of importance, and 73 percent saying it is very important. Paradoxically, while virtually all respondents indicated that measuring marketing’s ROI was important to their organization, nearly 30 percent did not measure it. There are multiple reasons preventing organizations from measuring and reporting on marketing’s ROI. Challenges relating to marketing data present the greatest difficulty. And, somewhat surprisingly, challenges relating to things like company culture, politics, and organizational structure represent less of an impediment. Of the majority of organizations that do measure marketing’s ROI, most express some level of satisfaction, with no respondent selecting Extremely Dissatisfied and only 18 percent choosing Dissatisfied. However, only 5 percent chose Extremely Satisfied, with the majority of respondents selecting Satisfied (44 percent) to Moderately Satisfied (33 percent). We believe part of the reason so few respondents were Extremely Satisfied with their ability to measure marketing’s ROI is due to the difficulties they face in trying to establish it. The majority of the challenges are all data related: collection, integration, and accuracy. It is worth noting that the single greatest challenge is the process of collecting marketing data. A possible reason for this is that marketing is one of the last departments to embrace technology, automation, and the level of quantifiable performance metrics that many other areas of the enterprise utilize on a regular basis. With regards to the latter, we hypothesize that this is further proof of the broader importance of understanding marketing’s impact on the business and the increased expectations placed upon the marketing organization to be able to measure and report on its activities and the associated benefits. The ability to make more informed decisions is the primary value of measuring marketing’s ROI, selected by 82 percent of respondents. Demonstrates effectiveness of investment follows closely behind, chosen by 79 percent. It is worth noting that respondents placed less value on those items that were less marketing-centric and involved crossdepartmental interactions and/or necessitated a broader view beyond just the marketing organization. We believe this is likely due to the challenges related to accessing, collecting, and integrating data that is non-marketing. While the primary value of measuring marketing’s ROI is the ability to make more informed decisions and understand the effectiveness of marketing’s performance, only 16 percent of respondents actually use marketing ROI as a tool for determining investment in marketing activities. Indeed, nearly two-thirds of respondents determine marketing investment using criteria that are not directly tied to the actual performance of said marketing investment, with 38 percent planning based on revenue projections and 27 percent based on the previous year’s budget. There is no denying that expectations for the marketing organization are on the rise and that there is a fundamental shift from tactically-driven marketing performance metrics to quantitative financial metrics to measure marketing’s ROI. The good news is that the marketing organization understands the new landscape and the importance of moving in this direction. For marketers and marketing to be viewed as a revenue driver and not overhead, marketers must develop the ability to provide quantifiable performance metrics based on business objectives. McKinsey & Company reports that, as budgets come under greater scrutiny and marketing programs struggle to show bang for the buck, the marketing function’s reputation has begun to erode. One study found that 72 percent of CEOs say marketers are always asking for more money, but can rarely explain how much incremental business this money will generate. To survive and thrive, the marketing organization and marketers need to be able to deliver proof, not conjecture; marketing ROI is that proof.